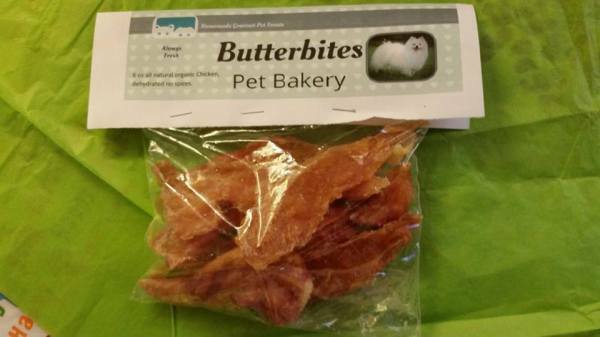 For one low monthly charge of $20.00/box, your pet will get a specialty gourmet box each month packed full of 1 1/2 lbs of delectable treats sold individually for over $30.00. You custom order the box made especially for them. 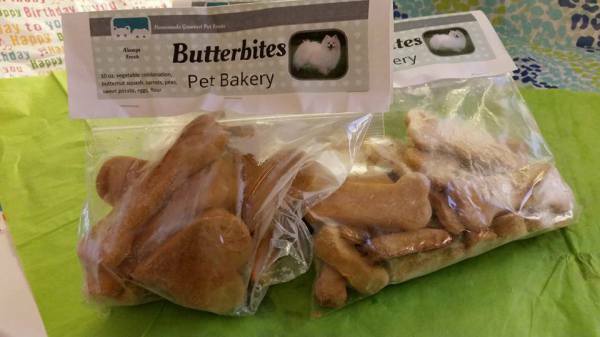 Tell us your dog or cats desires and we bake them up fresh and deliver to your doorstep. Currently we are delivering in Edmond, Yukon, Mid West City, Bethany, and Oklahoma City. Special surprise of the month - paws, cupcakes, bones, pigs ears, or tendons. Plus, if you become a monthly box subscriber you recieve 10% off anytime you purchase other goods. No contracts cancel anytime. Free range chicken fresh from the farm, dehydrated for your dogs pleasure. Our chicken can't be beat. Our fresh cookies are so soft and savory. We make a huge variety of these. Your dog will love them. 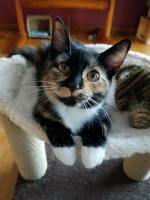 You can choose the ingredients that your furr buby adores.